BART was closed this past weekend for repairs from Glen Park to Daly City. Photo: Streetsblog. While the rest of the Bay Area was heading to the beach this Labor Day weekend, BART was working around the clock between Glen Park and Daly City, repairing tracks and switches. This was the fourth weekend closure necessary for the work. As before, bus bridges were provided between Daly City, Balboa Park and Glen Park stations. One can hear BART trains passing from miles away, as wheels cause the rails to resonate. It can be positively deafening inside the trains or close to the line. The above video is from BART and it explains what causes the noise–and what the agency is doing to quiet things down as part of this work. But rails and tracks are only part of the problem. The train cars and their wheels are also to blame. Streetsblog has written previously about how BART’s new cars have a more traditional, conical wheel profile–so that each passing train will cause less wear to the rails. This is critical on turns–such as the turn between Glen Park and Daly City–as the outside wheels have to travel slightly farther. The great physicist and teacher Richard Feynman explained what that’s all about in one of his short lectures/chats. To keep it simple, BART, for historical reasons, has a flat edge on its wheels, which deforms and wears out the rail surface faster than a traditional train wheel–and is the underlying reason behind BART’s peculiar howl. Henry Kolesar, Chief Vehicle Engineer at BART’s Hayward repair facility, explained during a previous interview with Streetsblog that they were also studying ways to taper the profile of the wheels on BART’s current fleet so they cause less wear. But before doing it, BART engineers wanted to be certain cutting a taper into the wheels on the current fleet won’t cause unforeseen problems, so they did mathematical models and ran tests for a couple of years. They will now start cutting the wheels into a more traditional profile as they do regular maintenance. It’ll take about three years to redo all the wheels on all the cars. “All the data showed that the new wheel profile would not only be quieter, it would be as safe if not even safer than the current cylindrical wheel profile,” BART wrote in its release on the project. Meanwhile, BART’s flashy new train cars and efforts at noise reduction are getting the most attention in the press because they’re easy to see and hear. 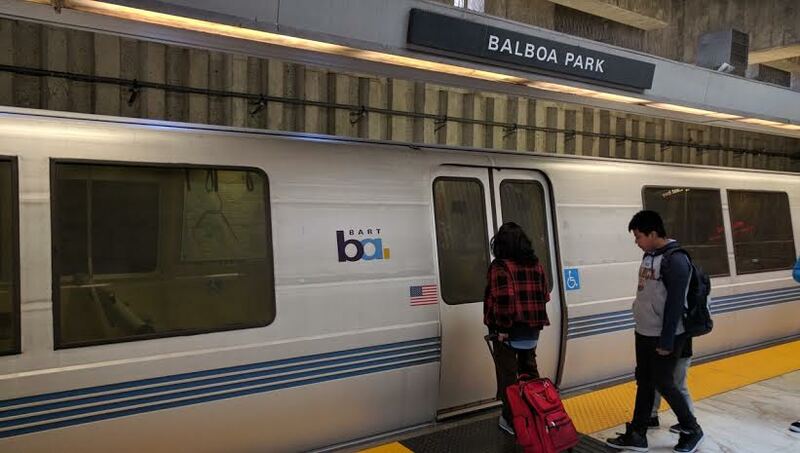 But the replacement of the switches and turnouts between Balboa Park and Daly City is arguably even more essential to, literally, keeping BART trains on the tracks. So for hard-core transit geeks, Streetsblog has embedded a video at the bottom of this article that explains that aspect a bit more too. “Less than five percent of track miles are made of switches, but over 17 percent of the maintenance budget is spent on them,” explains the announcer in the film. And that’s one area where BART is just like any other railroad. Looks like a bit of a bodge. Is this an off-the-shelf system or something custom? As I recall the London underground used the Pandrol Vanguard rail fixture system .